Size: 2 3/4 in. x 3 7/8 in. 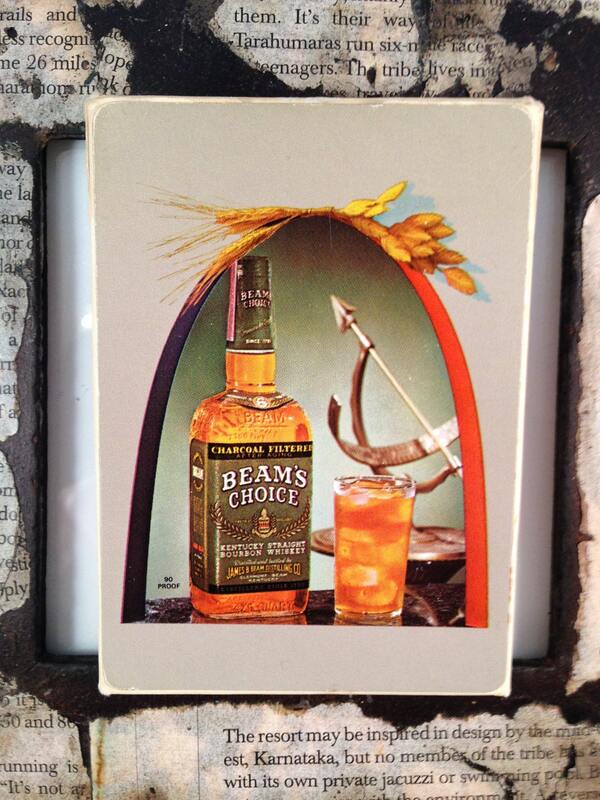 Here for your review is a deck of Bicycle Playing Cards featuring BEAMS CHOICE 90 Proof whiskey. 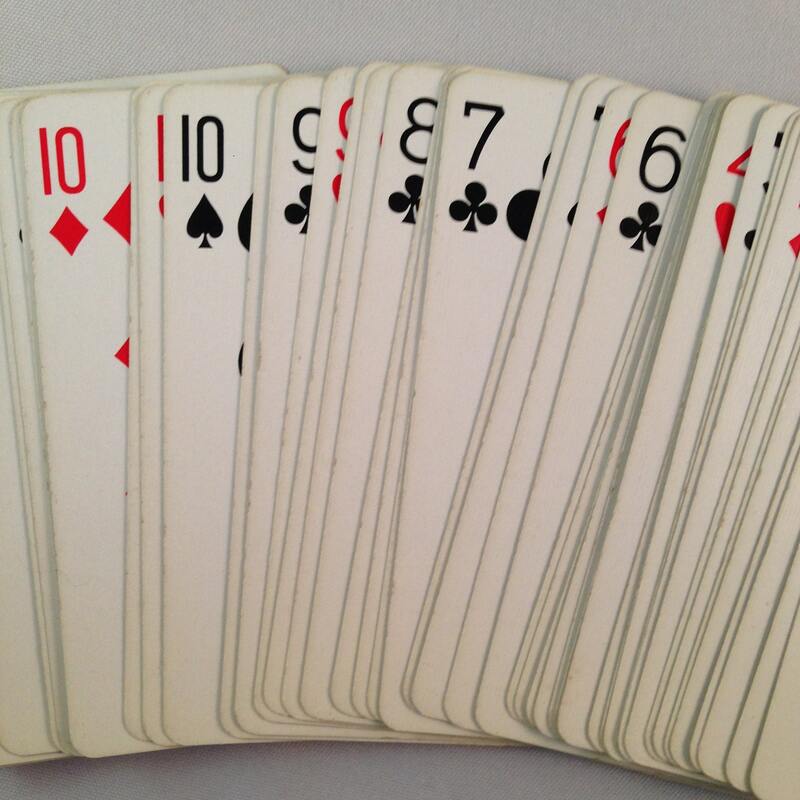 The deck includes all 52 playing cards and two jokers (A King on a bicycle). The Ace of Spades states 'Bicycle Quality' at the top, and 'The U.S. Playing Card Co., Cincinnati, U.S.A.' at the bottom. 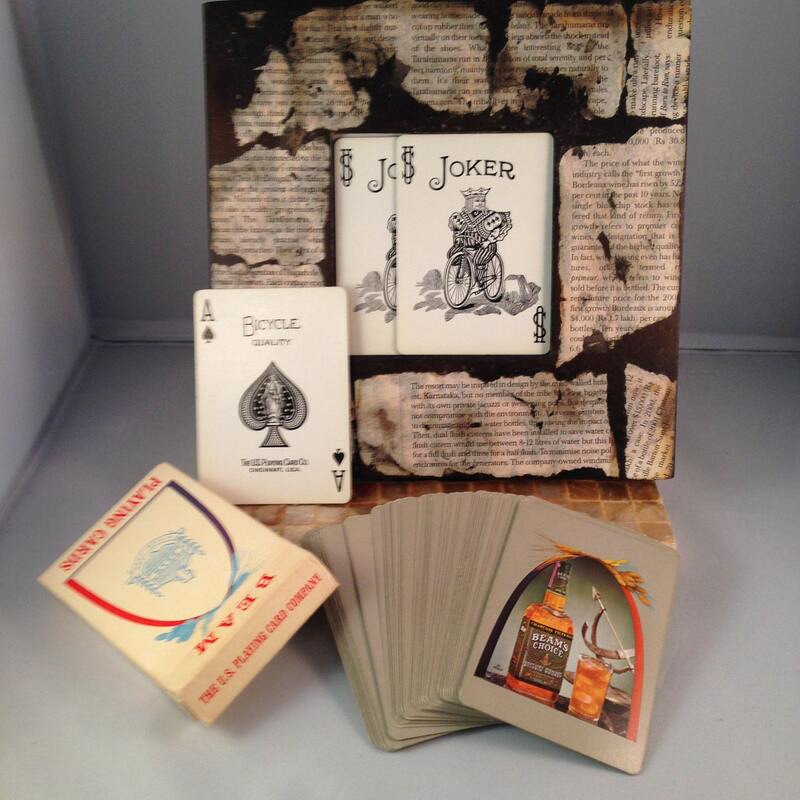 CONDITION: The cards are used and in the original box. 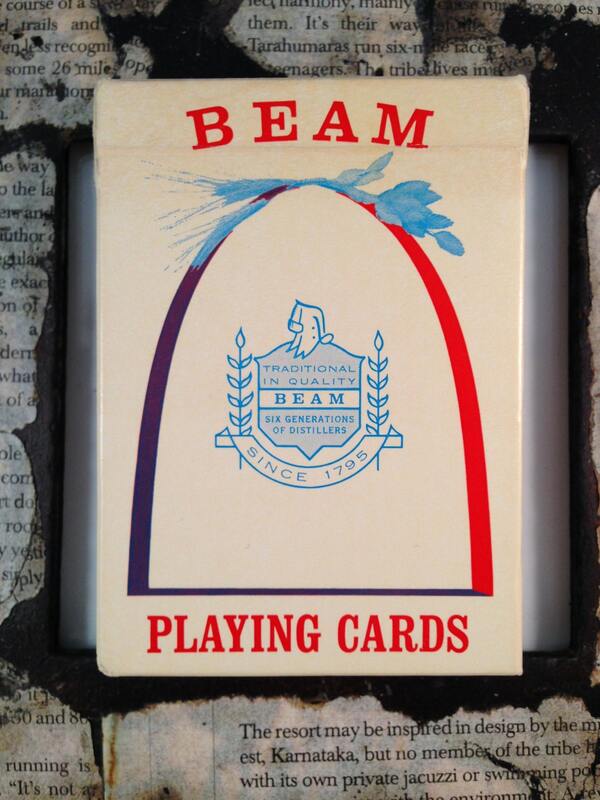 Cards are in 'played with' condition, and show wear and discoloration. The Nine of Clubs was bent in the upper left corner. The box also shows wear and discoloration. 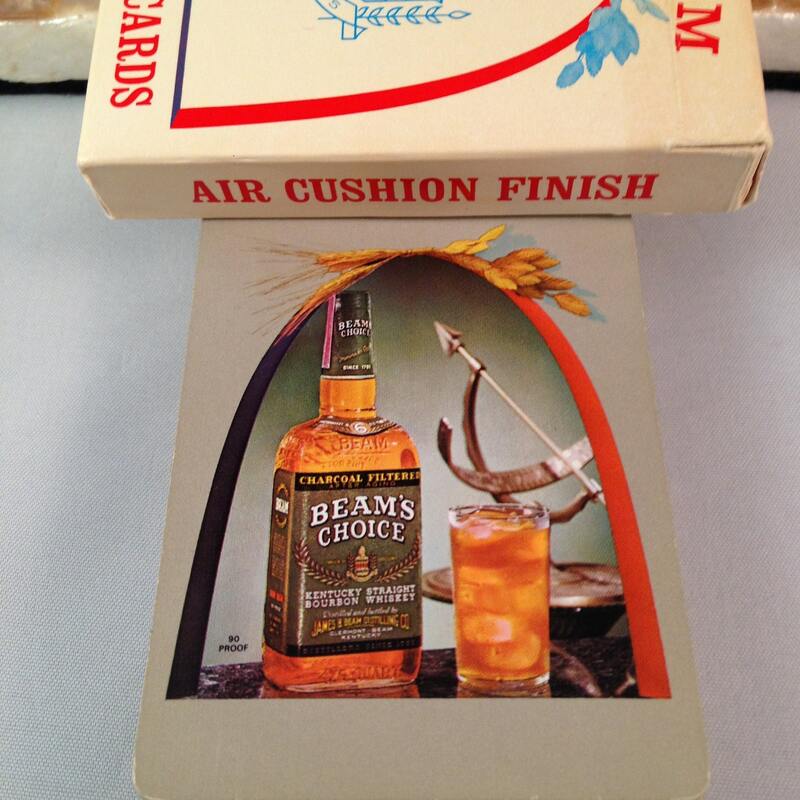 Overall, it is a nice deck for any one who collects whiskey or breweriana advertising.